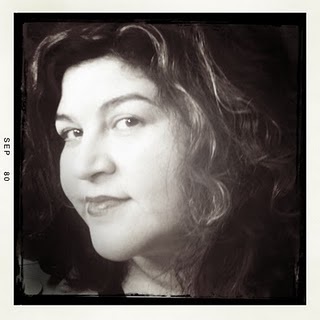 Kathy Cano-Murillo is a writer and artist. Since 1990, she has sold her handmade "Chicano Pop Art" crafts to hundreds of retailers including Bloomingdales, Target, and Hallmark. From 2000-2008, she wrote a weekly syndicated Arizona Republic newspaper column for eight years, and has authored seven books including Crafty Chica's Art de la Soul and Crafty Chica's Guide to Artful Sewing. In 2001, Kathy launched CraftyChica.com, a wildly popular web site to inspire women to brighten their lives with clever craft ideas. She had a podcast series on iTunes, a web series on LifetimeTV.com, has been profiled in The New York Times, USA Today and NPR, and now has a Crafty Chica product line. Kathy's mission is to promote, celebrate and share in the American craft experience. She is the founder of the Arizona art collective, The Phoenix Fridas. Many of Kathy's themes for her designs and books show a love for her Mexican-American culture. As a professional crafter, she is impressed that Latinos make up a large part of the $31 billion craft industry. Her goal is to promote and motivate women of all backgrounds, ages and ethnicities to join in the art and craft movement. When she isn't creating, she writes novels. Her "Crafty Chica Novel" series debuted in March 2010 with Waking Up in the Land of Glitter (Grand Central Publishing). Her next book, Miss Scarlet's School of Patternless Sewing was released in March, 2011. Kathy lives in Phoenix, AZ, with her husband, two kids and five Chihuahuas. Her motto for life is "Crafts, drama and glitter."